The laboratory is used to teach the principles of interlocking systems to transport engineering students of the University. Additionally it is used to train staff of public transport authorities, consulting companies, IT system suppliers for public transport operators and any other company which wants to be educated in rail operations. 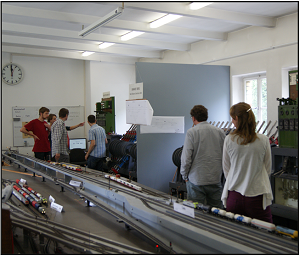 The laboratory offers training courses for railway engineers, interdisciplinary teams of the railway branch and ETCS planners. One major customer and user is DB Training, the training provider of Deutsche Bahn who is inter alia in charge of training the signal box personnel and other staff of Deutsche Bahn. Technische Universität Berlin and DB Training invite the visitors of the UIC Congress to take a tour through the laboratory. 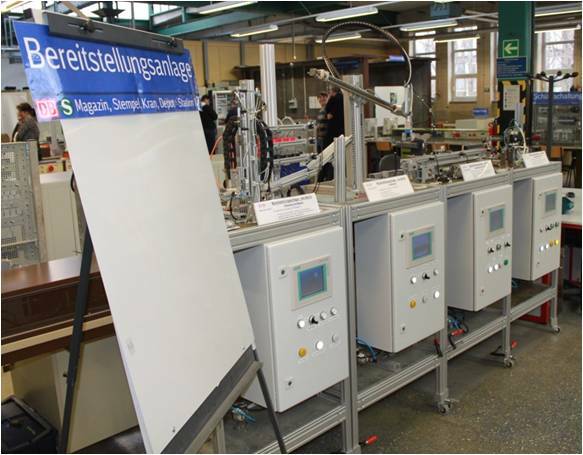 Educated teachers of Technische Universität Berlin and DB Training will inform about the signal boxes, the history of the laboratory and will first and foremost demonstrate how the laboratory is used in training and education. Visitors to the training workshop will gain an insight into how junior employees are trained for their technical and operational positions at Deutsche Bahn. Topics will be presented and demonstrated at two activity stations. At the first station, colleagues will introduce the Berlin-Schöneweide training workshop and explain how vocational training is structured at Deutsche Bahn and who plays what role. They will also provide an overview of the jobs in industry and technology for which Deutsche Bahn provides training, as well as outlining the educational principles and training methods applied. The focus at the second station is on project-based vocational training at Deutsche Bahn and its activity-oriented implementation with reference to selected training projects for professions such as mechatronics technician and electronics technician. DB Training’s experts look forward to meeting with colleagues from around the world to discuss the on-site training aspect of vocational courses for the railway sector’s young hopefuls. The use of driving simulators in the training and further education of drivers is now a matter of course. We invite the World Congress delegates to take a look behind the scenes and let us talk about how the DB simulators are used and which training concepts have proven their worth. A visit to our driving simulators in Schöneweide is a great opportunity for an inspiring professional exchange. Of special interest for the congress participants will no doubt be learning how DB operational ICE maintenance staff are trained. For this reason, comprehensive information will be provided by the DB Training expert present, who is looking forward to exchanging views with international rail training experts on this topic. 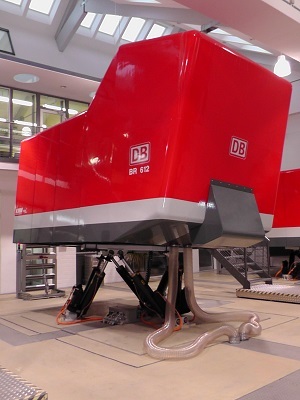 DB Training uses the facilities to train control-command and signalling personnel for Deutsche Bahn. A DB Training instructor will demonstrate how the facilities are used for training purposes. 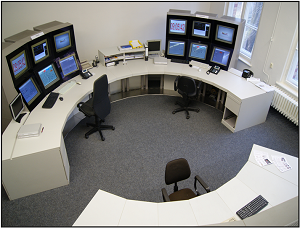 We will also visit the ETCS driver’s cab simulator (ETCS Live). It enables real-time operation of ETCS routes for training purposes. Participants will have the chance to experience the system live and hands-on. The experts from Siemens AG and DB Training look forward to meeting the participants from Germany and abroad. 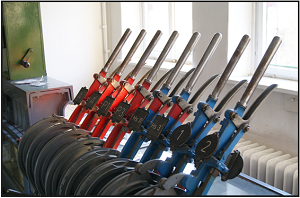 Berlin’s 650 S-Bahn trains are maintained and serviced in four depots and two maintenance workshops. 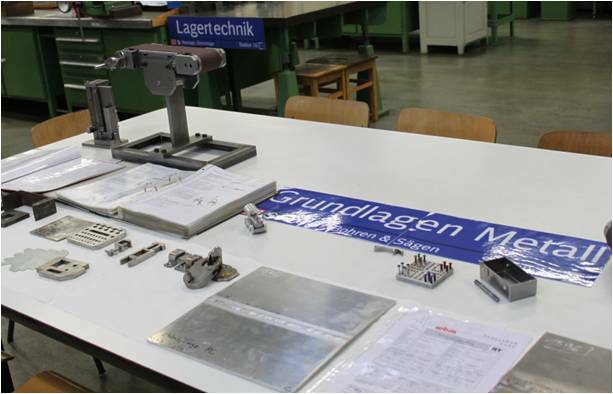 As part of the Technical Visit of this year’s World Congress, participants will visit the heavy maintenance workshop in Schöneweide. The workshop’s responsibilities include, for example, overhauls and the manufacture and repair of about 800 different components such as wheelsets, traction motors, bogies and electronic components. Accident repair, painting and anti-graffiti coating are also conducted at Schöneweide. Participants are given a realistic insight into the maintenance work and processes and an expert from DB Training will explain how Deutsche Bahn trains its maintenance personnel. The S-Bahn and DB Training experts look forward to meeting the participants from Germany and abroad. BVG invites the World Congress delegates to the training center for the Berlin metro staff. BVG places great importance on the integrated training and education of all staff groups involved in metro operations. For this reason all training methods and systems are closely linked. will be visited and inspected. The participants will experience the systems in a very practical way and can put their hands actively.